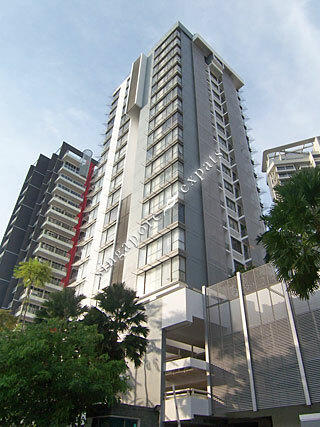 Studio 3 is a high rise apartments located off River Valley Road, very close to the Orchard Road shopping belt. Apartments in Studio 3 consist mainly of studio and two-bedroom units. All apartments are finished in modern and high quality finishing. The living, dining and bedrooms have roof to ceiling windows. There is also a sunken bath in the master bathroom. Facilities include swimming pool, gymnasium, Jacuzzi and barbecue area. Studio 3 is just 8 minutes walk to Great World City Shopping Centre. Just walk out of the development and you will get a lot of hawker feast available at the row of shophouses located along River Valley Road. Public transport is aplenty along River Valley Road. It takes a mere 5 minutes to drive from Studio 3 to the Central Business District or Orchard Road shopping belt. Fantastic location. On the bus routes. River, hawker centre, shopping malls is nearby. easy transportation to Orchard and business districts in Singapore. Fantastic development! Modern and well maintained. Well connected with public transport, Close proximity to Orchard.